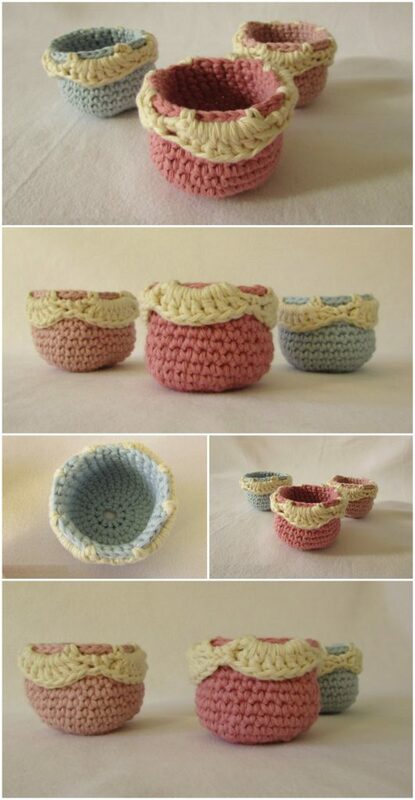 Crochet mini shell edge storage pots/baskets that you can see on the photos are the main heroes of today’s article. This are the crochet pots that can be very useful and I am sure that if we give it a try and crochet some of them we are going to have the baskets that may become one of your homes best friends. The video tutorial is great, it shows us every single step we need to know and follow to crochet the mini shell edge storage pots/baskets. Of course you can crochet the baskets the color you want; it is all your business and depends on your taste and opinion. The techniques and the stitches that you are going to learn with the help of the video tutorial may be very useful for your future crochet projects.